hours committee can get this fire under control. they hope the structure can be saved. let's hope they are right. speak to you soon. bye— bye. has been completely engulfed by fire. the blaze started more than four hours ago. renovation work was being carried out to restore parts of the 850—year—old building. 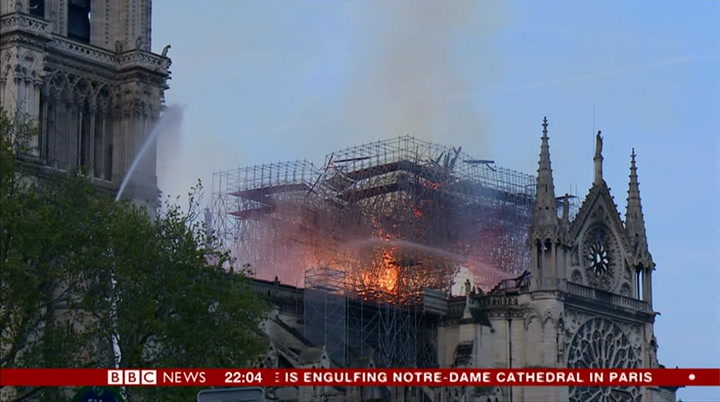 the roof has collapsed, the famous stained glass windows have been destroyed, fire crews are trying to save some of the priceless artwork from inside the cathedral. two hours after the fire broke out, the cathedral's spire suddenly collapsed prompting gasps from the crowds below. thousands have been standing, many in silence, watching in tears and dismay as this symbol of paris goes up in flames. it's the most beautiful monument in paris and it's been burning for an hour. it's just hideous. 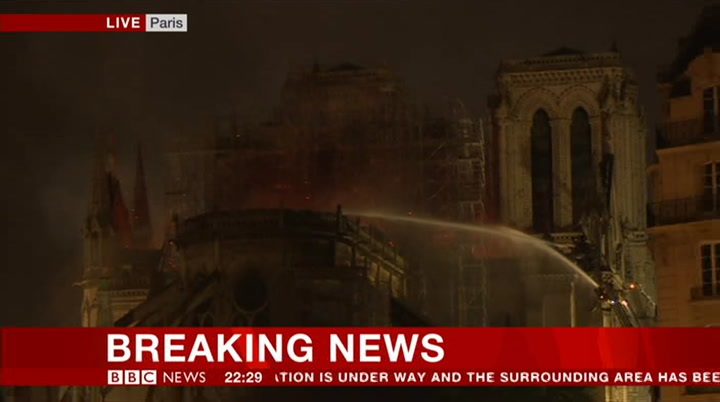 now, firefighters at the scene say they're trying to save one the cathedral‘s iconic stone towers which is also on fire. we'll have the latest from the scene. also tonight. a former soldier is to be charged with murdering a teenager, who was shot twice in the head in londonderry in 1972 during the northern ireland troubles. shamima begum, the london teenager who joined the islamic state group when she was 15, is expected to be granted legal aid, to fight for her british citizenship. 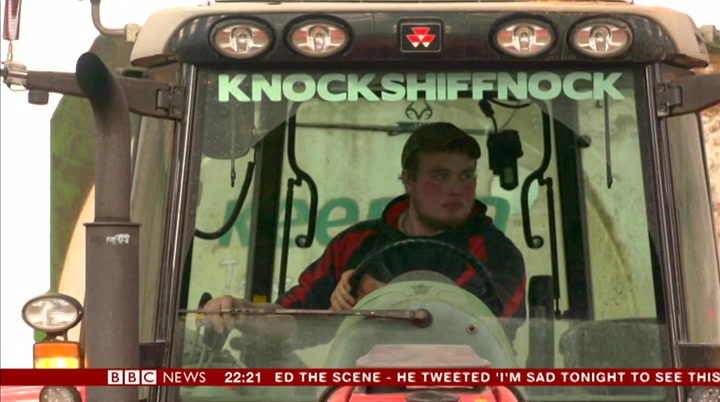 and the pressures of life on the farm — we report on the mental health crisis among farmers. and in sport, a gift from watford's goalkeeper in a controversial game with arsenal in the premier league. pierre—emerick aubameyang capitalises for unai emery‘s side as the gunners try and keep pace with the top four. religious unrest. engulfed within an hour by flames. its ancient towers, beacons for both residents and tourists, crumbling into the blaze. as its current guardian watched through tears. 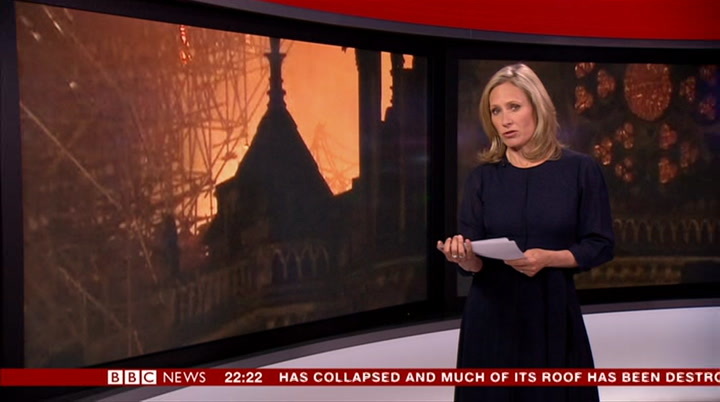 translation: this is a natural disaster, i'm very upset, this cathedral is 850 years old and to see the building fault pieces, the spire to fall downjust see the building fault pieces, the spire to fall down just as we were renovating it, all i can do is pray. 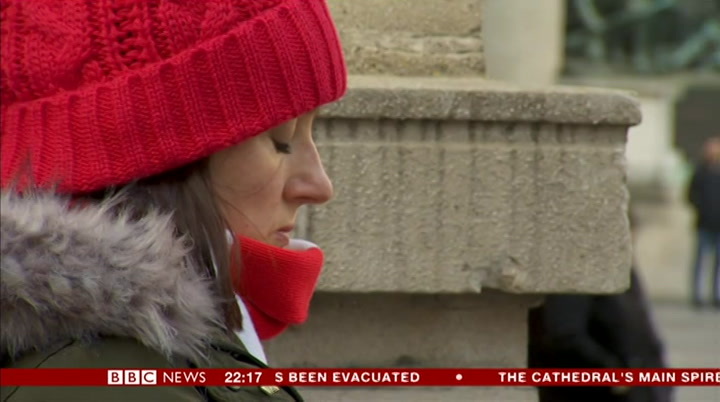 400 firefighters circled the cathedral to tackle the blaze. their crane stretching to reach its soaring roof, a complicated and fragile operation, simply dousing the medieval structure with water was not — make an option because the building could collapse. to tackle the flames inside the building, firefighters had to climb up the towers. nothing else could reach. 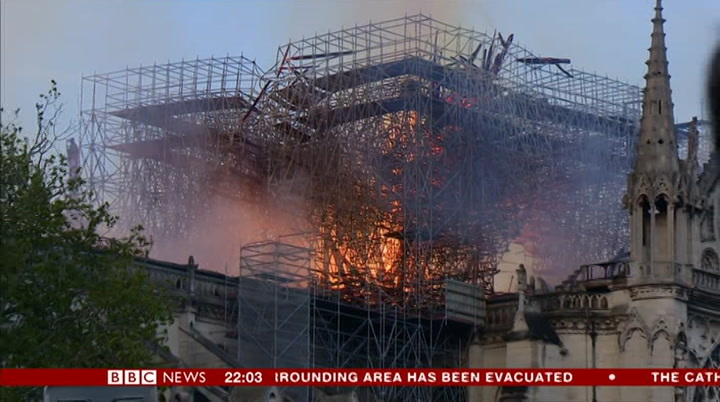 we re structure and not so long ago we were being told the whole wooden skeleton were being told the whole wooden s keleto n of were being told the whole wooden skeleton of notre dame was ablaze. there were real fears for the whole structure of the building and particularly the north tower, one of those big towers at the entrance to notre dame, real fears those big towers at the entrance to notre dame, realfears they those big towers at the entrance to notre dame, real fears they wouldn't be able to say that. the latest we are getting from the scene is that the basic stone structure now appears to be out of danger. they've managed to save at least that. the big question now, of course, is how much of the inside still remains. lucy williamson with the latest in paris, thank you. 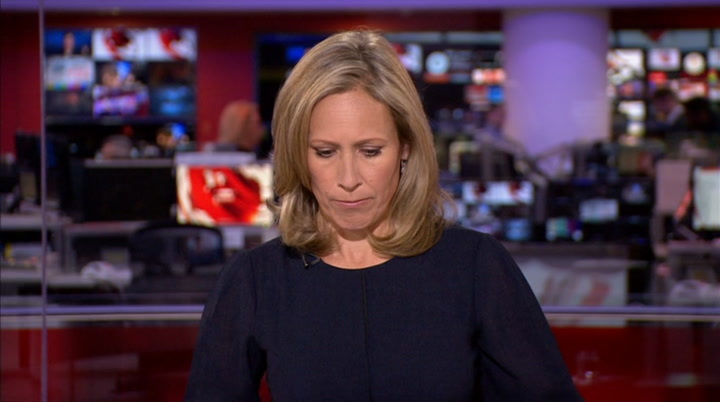 and we will go back to paris later in the programme but now the rest of the day's news. 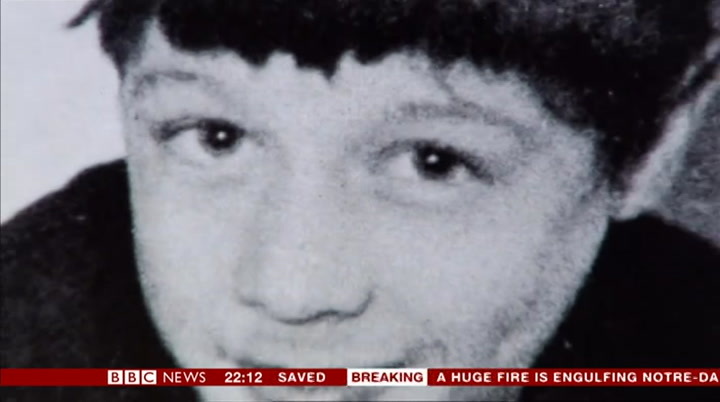 a former soldier is to be charged with murdering a teenager who was shot twice in the head in londonderry in 1972. 15—year—old daniel hegarty was killed in an army operation near his home. last year, the high court ruled that a decision taken in 2016 not to prosecute was based on "flawed" reasoning. 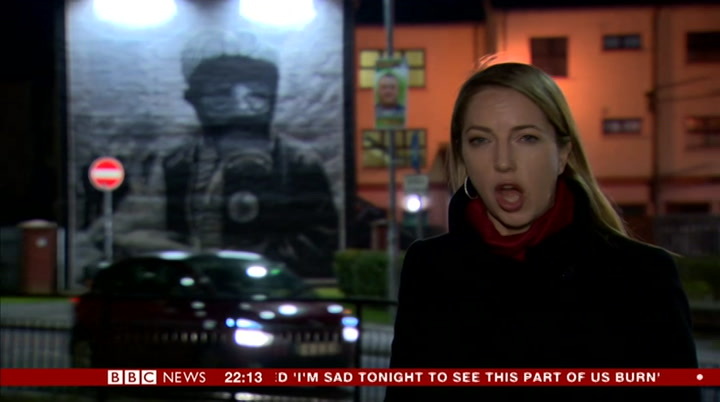 0ur ireland correspondent emma vardy reports. apologies we don't have that report but we will bring it to you later on in the programme. shamima begum, the london teenager who joined the islamic state group when she was 15, is expected to be granted legal aid, to fight the decision to strip her of her british citizenship. 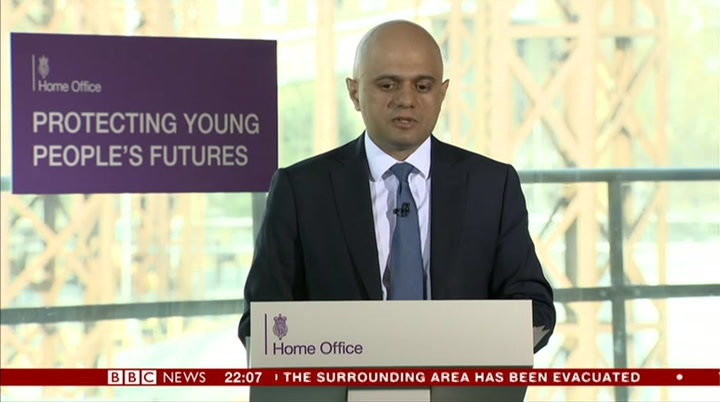 the 19—year—old, who's in a detention camp in syria, wants to return to the uk. legal aid — which is financial help paid for by taxpayers, to those who can't afford the costs of a lawyer themselves — has been significantly cut back in recent years. here's our home editor, mark easton. should shamima begum, the former british schoolgirl who went to join the islamic state group, be granted legal aid to contest the home secretary's controversial decision to strip her of her citizenship? the legal aid agency looks certain to say yes, but using public funds to support a jihadi bride is equally controversial. it's not the first time that someone who, for national security reasons, has had their citizenship deprived. of success, the cost and, in high—profile cases, public attitudes. the government has made it more difficult to get legal aid, spending almost £1 billion less a year now in real terms than a decade ago. relatives of those killed by the ira in the 1974 birmingham pub bombings were initially denied access to public funds in fighting their cases. 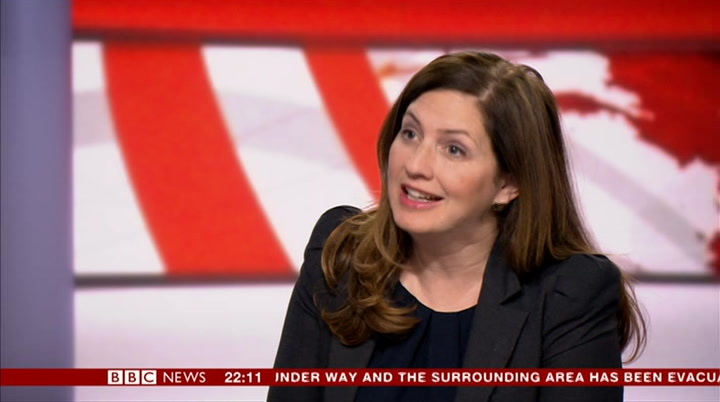 it is scandalous that there is no automatic legal aid funding for complex inquests like ours. 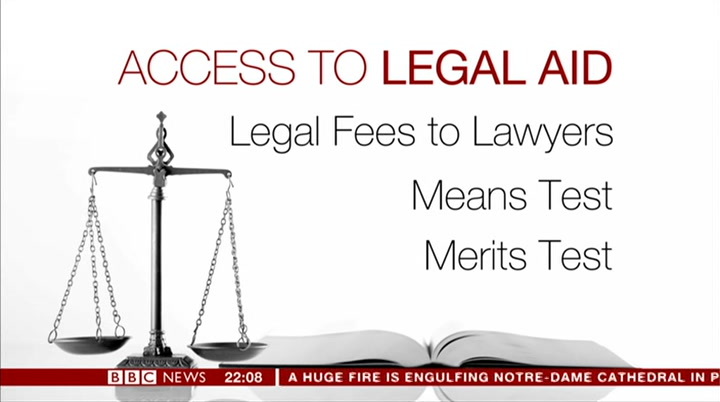 legal aid is regarded as a building block of the rule of law, indeed of our very democracy, but when money's tight, who is and who's not able to access scarce public funds inspires fierce argument. shamima begum had no involvement in requesting legal aid and will, of course, not receive one penny personally, but if the lawyers acting in her name were to win their case, she may yet return to the uk and then perhaps face justice before an english court. 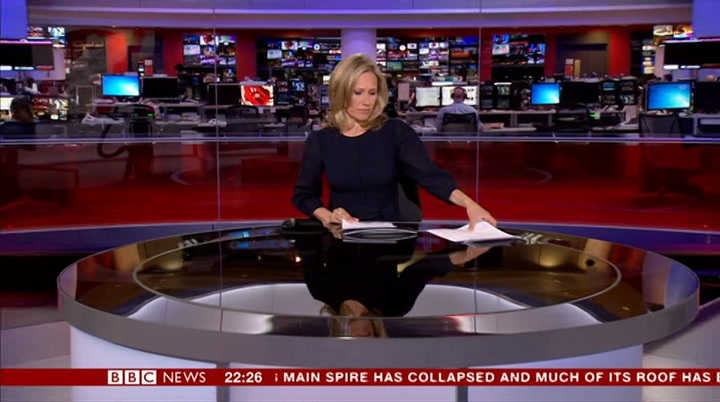 mark easton, bbc news. a man has been charged over an online video which appeared to mock the victims of the grenfell tower disaster. paul bussetti, who's 46, is accused of distributing grossly offensive material. the footage emerged showing a crude cardboard model of grenfell being burned on a bonfire. 72 people died in the fire in west london in 2017. demonstrators have blocked major road junctions in central london and disrupted traffic in a protest over climate change. the campaign group extinction rebellion parked a boat across oxford circus and blocked marble arch and piccadilly circus. three men have been arrested on suspicion of criminal damage. the organisers say protests were taking place in more than 80 cities across 33 countries. there's been a sharp rise in the number of cases of measles around the world. the world health organization says it almost quadrupled in the first three months of this year, compared to the same time last year. measles is a highly infectious and can lead to serious complications. it's also easily preventable with a vaccine. 0ur health correspondent sophie hutchinson is here with me. do we know what has caused a sharp rise? it is one of the most infectious diseases in the world and it can cause very serious complications, deafness, learning disabilities and all also can lead to fatal pneumonia. what we have is an extremely effective vaccine but in poorer countries fewer people are being vaccinated and in some wealthier countries people are choosing not to vaccinate their children at all. it is thought social media carrying messages from anti—vaccination campaigners with false information is perhaps contributing to the fact people don't want to vaccinate their children at the moment. in order to protect the population you need 95% of people to have been vaccinated. where we're five grand in arrears with rent, which we've got no chance of seeing any more. if i'd gone down the court route, that would have been another two months he could have strung it out for, and also the court costs, which we're never going to see back. the use of section 21 has risen sharply since 2011, and last year more than 10,000 repossessions were carried out in england. the private rental market has grown significantly over the past two decades. 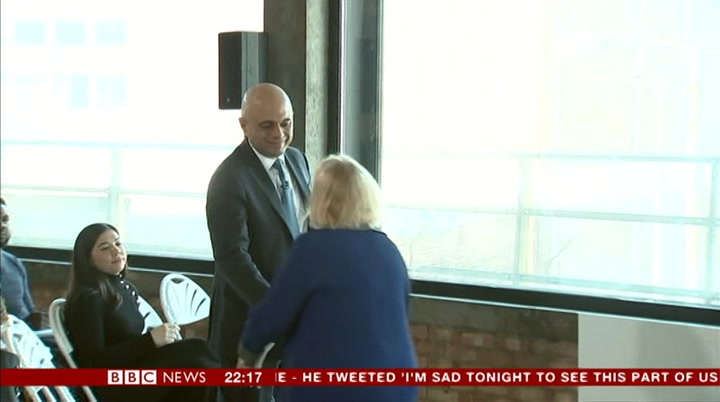 ministers say evidence shows that section 21 evictions are one of the causes of homelessness, and that's partly why, they argue, there needs to be a change in legislation. carl says he's been living on the streets for three years. if your landlord evicts you, you can end up on the street no problem. theyjust pack your bags, they're there on the doorstep, you get back, there's nothing you can do about it. a lot of times, you won't even get a chance to speak to the landlord. that's you on the street. nowhere else to go, what can you do? 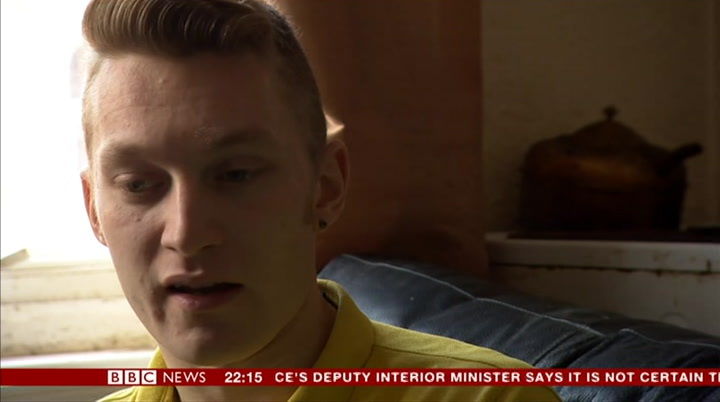 he said his experience growing up in a dangerous part of bristol could have led to him becoming a drug dealer. he also said violent crime should be treated like a disease. farming is often described as more than a job, it's a way of life. but many farmers are living under tremendous pressure, and the strain is taking its toll. 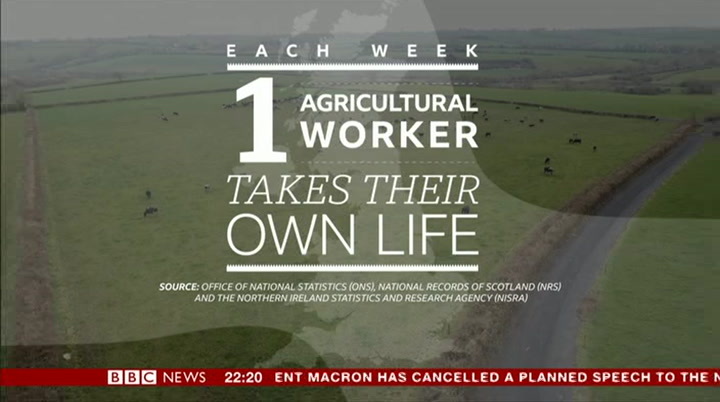 around one agricultural worker takes their life every week in the uk, according to figures seen by the bbc. bad weather, animal disease, long lonely hours and financial strain are all contributing to a mental health crisis in the industry. gareth barlow, a former farmer himself, reports. i've had dark thoughts. you know, when you can't see another way out, when you can't see another alternative... ..it does cross your mind. dog barks if something snapped in my head and i decided to take my own life, for example, it would only push the burden onto my father. and, you know, i know it would kill him. at 22, jonathan mccamley is struggling. and so is alan, his dad. i nearly did something stupid. and i seriously thought about it, and i nearly did. voice breaking: and the only thing that stopped me... ..was the thought ofjonathan. two men on the same farm, facing the same issues. 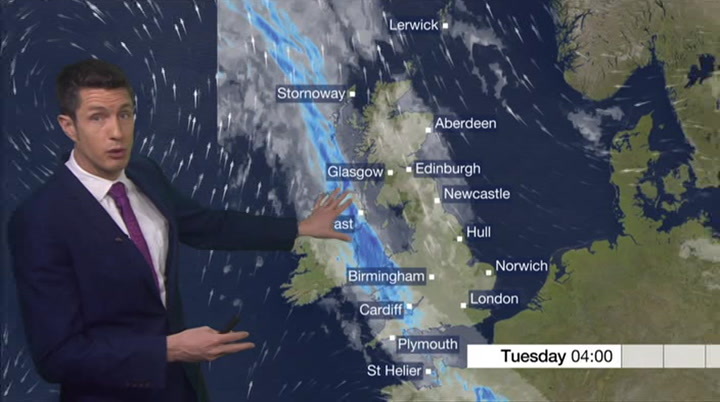 dealing with the fallout of alan's divorce, worrying about money, the weather, their cattle, worrying about each other, and whether their business in scotland can survive. across the uk, the industry is warning mental health is the biggest hidden problem facing farmers. a situation compounded by isolation, a lack of support, and a stigma around speaking out. i spent my late teens and early 20s working as a sheep farmer. the message is more needs to be done to boost support and tackle the stigma around mental health, plus the isolation faced by farmers. but one message is making an impact — talking saves lives. 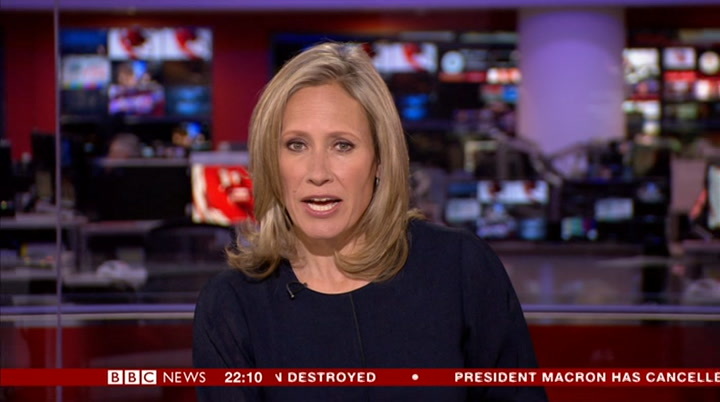 gareth barlow, bbc news. 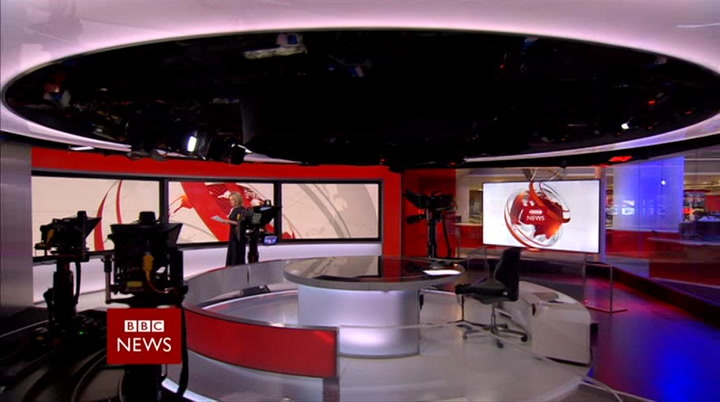 and for details of organisations which offer advice and support, you can visit our website at bbc.co.uk/actionline. let's return to our top story now, and the devastating fire at notre dame cathedral in paris which has been burning for several hours now. notre dame sits in the very heart of paris, on the ile de la cite, an island in the middle of the river seine. the fire is believed to have started shortly before 7pm local time, shortly after the structure closed to the public. firefighters say the blaze could be linked to ongoing restoration work. france is tonight mourning a cultural and historical loss. 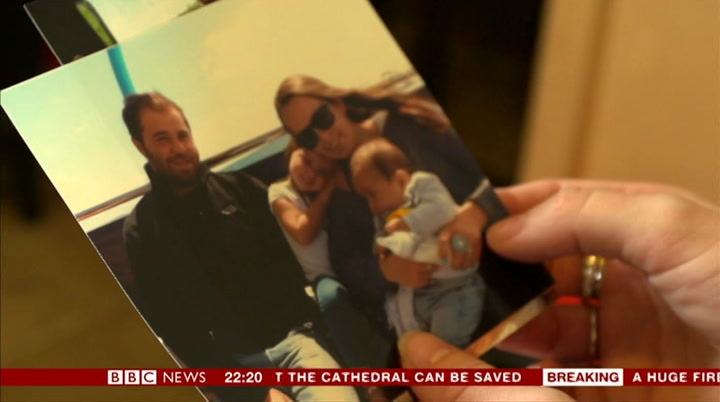 in paris, andju5t back now to lucy williamson, who is in paris, and just looking at that image, you can say it looks like there will be very little that is saved of notre dame. yes, and i think that is beginning to sink in here in paris, or late afternoon and into this evening a real sense of 5hock, into this evening a real sense of shock, of sadness here, but what really struck me was the silence and the feeling from people that this was a loss really beyond words. 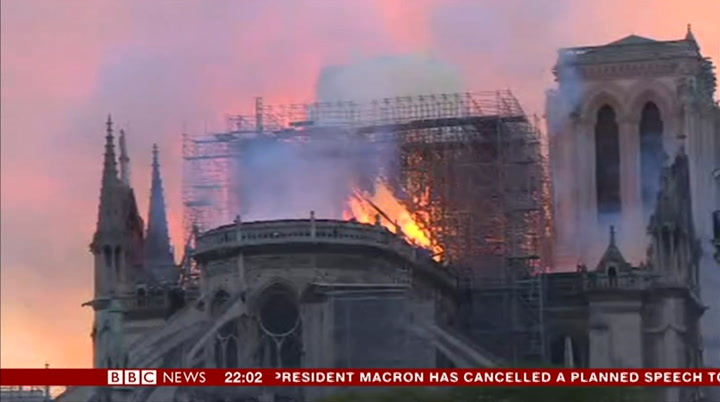 we have had the mayor of paris, anne hidalgo, saying there are no words are strong enough to express the pain of watching notre dame burn. the prime minister talking about grief beyond words. and you mentioned the vatican, they expre55ed mentioned the vatican, they expressed their disbelief at what has happened. the image that is really going to stay with me tonight i5 really going to stay with me tonight is of ordinary people in the streets around notre dame gathering together 5inging around notre dame gathering together singing and praying. 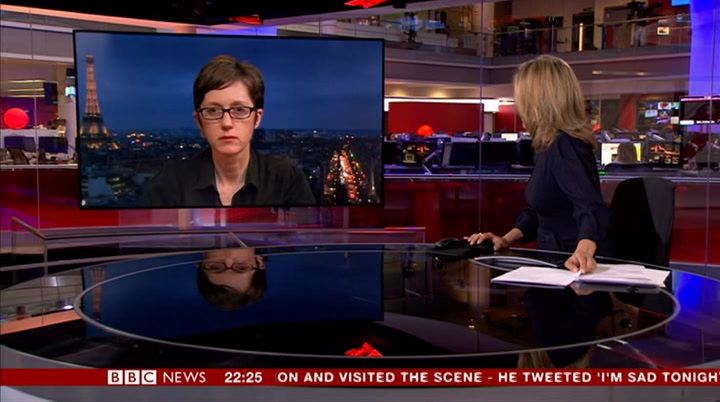 lucy williamson with the latest from paris, thank you. 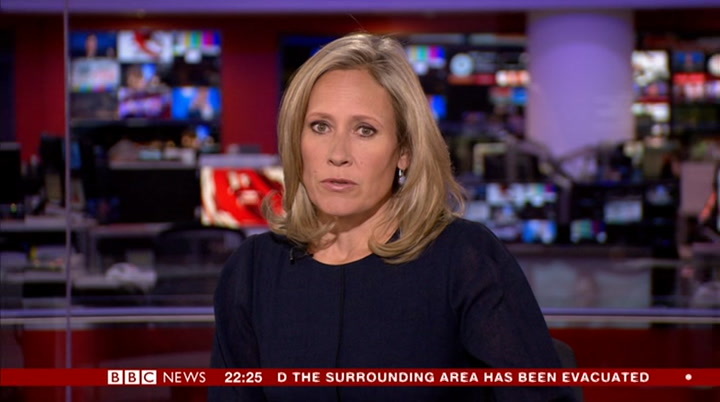 newsnight is getting under way on bbc two. 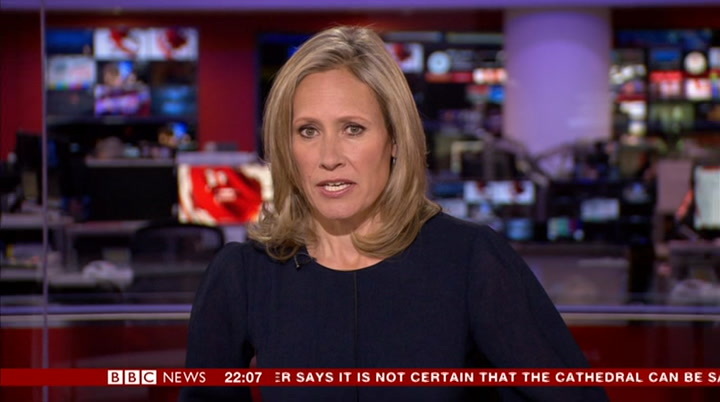 here on bbc one, it's time for the news where you are. the roof has gone, the famous spire has caved into the building. we are told that part of the main structure will hopefully survive, but as you can see there, flames still shooting through. we know that there's been m essa 9 es through. we know that there's been messages from right around the world, from leaders everywhere, hoping that this building can be saved. it is 800 years old. it took 200 years to create. 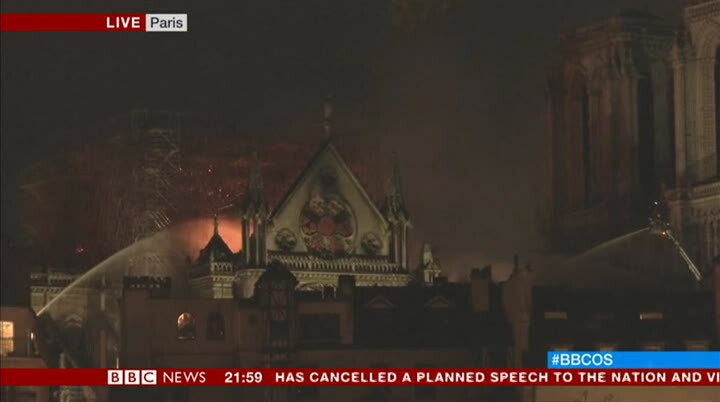 0ur paris correspondent hugh schofield has been following events for the past few hours since smoke and flames started appearing in paris along the banks of the river seine. when you look at what happened in the last few hours, it unraveled so fast, it unraveled so quick, how much of this building can be saved?